If one refers to the August publication of TRAI Subscribers data, then it will show the mammoth size of the Indian Telecom industry. With 1.16 Billion subscribers and 89% teledensity, India has become one of the largest telecom footprints in the world. While this is a great data to view at, the Telecom Operators in the country are going through one of the most challenging times in terms of business viability, disruptive technologies, and insatiable demands of cheap and high-quality service from the end consumer. In these times when financial resources for Telecom Operators are constrained, technology needs to come into play for better customer service. It is almost impossible for Operators to keep pumping in more resources to handle customer service requests of this 1.16 Billion subscriber base while trying to look for that elusive profitability margins at the end of the quarter. This is where Artificial Intelligence and Machine Learning can come in a big way to support the dual needs of the Telecom Operator, that of reducing Operational Expenditure and serving Customers faster and better. The fact that each Telecom Operator is carrying hundreds of millions of subscribers, it means that daily they are bombarded with thousands of service requests/tickets that need immediate resolution, from the customer point of view. A classic case of an Artificial Intelligence solution lies here wherein an automatic ticket resolution system can be activated. This solution can put a Robotic Process Automation engine in place to resolve hundreds of tickets, which are similar in nature. The advantages are obviously related to faster resolution time, lesser human resource costs & interventions and better consumer satisfaction. While designing such solutions, it is extremely important that they are system agnostic. Building such automation should not need knowledge of the multiple IT systems spread across the IT space of the Operator and how to create in it the necessary automation. They should be able to accommodate hundreds of workflows in a flexible way across multiple systems. The system should read a ticket/service request and classify it to the right workflow, which in turn can resolve the customer request. These systems are designed on machine learning NLP (natural language processing) and classification algorithms. So, how does it work? Let’s say we wish the AI system to identify tickets that are related to a customer requesting for telephone usage report. The AI system will firstly get the training data to learn how to classify it to right workflows. ‘When you teach a child, what is a dog? You show the child pictures and say this is a dog, and this is not a dog.’Similarly, the AI system needs examples of tickets, showing for each ticket if it is a valid request to a usage report or not. Once this learning is put in place, such tickets i.e. requests from end consumers can easily be handled by the machine. After the system classifies a ticket to a specific flow, e.g. “request to generate usage report”, it now needs to identify values to the flow’s predefined fields. In this example, the fields are the Phone number, usage type, start date, and end date. This will keep working on an automatic resolution mode and tickets would be closed without any human intervention and with 100% accuracy. As part of the machine learning exercise, thousands of tickets need to be fed through these engines, which continuously improve the learning and accuracy levels of the solution. Over a period, many of the repetitive activities related to end consumer or the Telecom Operator can be easily resolved through these artificial intelligence solutions while human interventions can be shifted to much more value-added activities/services. The end target for such systems should be to close at a minimum 50% of tickets with “zero touch” within a year of getting implemented in the IT space. The above is one area of implementation for AI-based systems. There are multiple opportunities in which these can be put to effective use, for example, monitoring and managing the complex web of infrastructure that each of the Operator is dealing with. The systems can predict the behavior of infrastructure during the time of the day, the day of the week or some other frequencies. We can reduce human dependencies and cost of resource for dealing with repetitive actions to ensure high availability of all solutions and infrastructure. 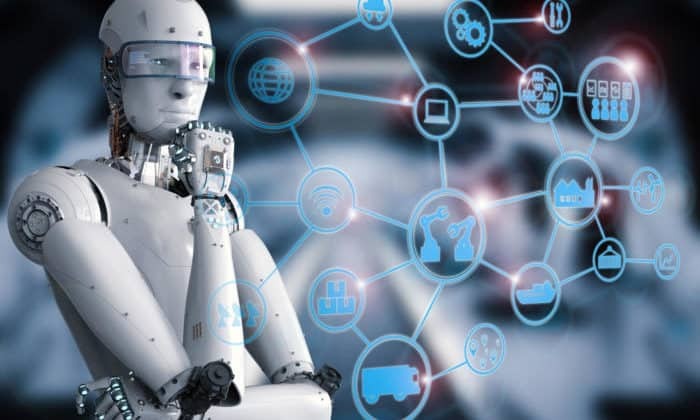 In conclusion, Telecom Operators need to embrace the Artificial Intelligence-based solutions at a rapid scale to help their bottom lines on one hand and speedily support the multitude of demands from millions of customers on the other hand. Service Providers need to partner with Telecom Operators to design, develop, and implement these systems with a very short time to market. That’s when the Telecom Operators would get the much-needed oxygen for their financial and consumer satisfaction scores. Why Artificial Intelligence and Machine Learning are Critical to Profitability in the Telecom Sector 5 out of 5 based on 2 ratings. 2 user reviews.